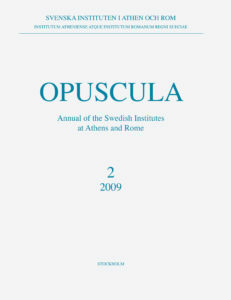 Opuscula 2 (2009) is now available for purchase and free download at Bokorder.se. Also available at Amazon.com, Amazon.de, Bokus.com and Adlibris.com. In 2007 a Reshef figurine was found in a secondary context southeast of the Temple of Poseidon at Kalaureia. 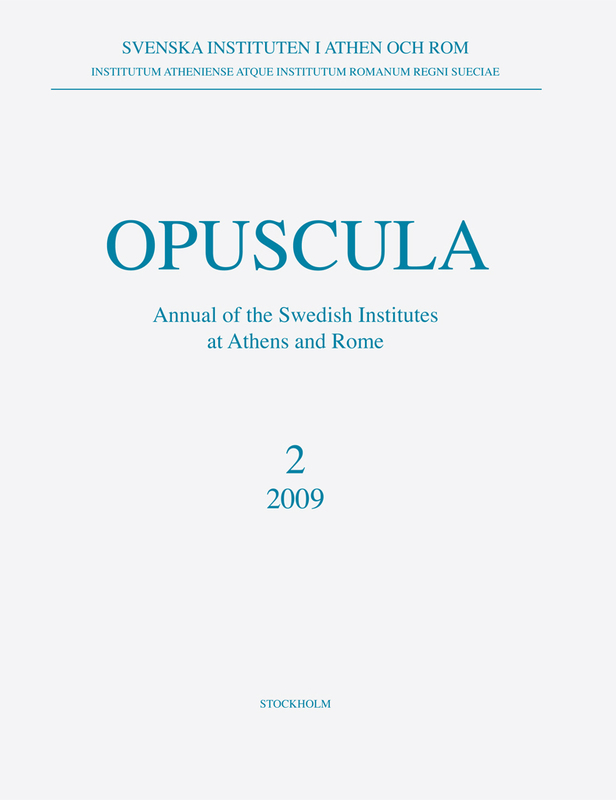 This article discusses its origin in the Syro-Palestinian area in the thirteenth century BC and suggests it arrived at Kalaureia towards the end of the Late Bronze Age and was deposited in a sacral context. As Reshef in later history was identified with Apollo in the Greek environment, the author speculates on there being perhaps a kernel of truth in the later myth of Apollo and Poseidon having exchanged dwelling places in the hoary past. The peculiar surface of the piece called for a technical analysis, which was carried out by Andreas Karydas from the Institute of Nuclear Physics, Demokritos, Athens. It clarified that the “pock marks” on the surface stem from the manufacturing process and are not the result of corrosion.